Adelaide is getting its first CBD-based distillery. 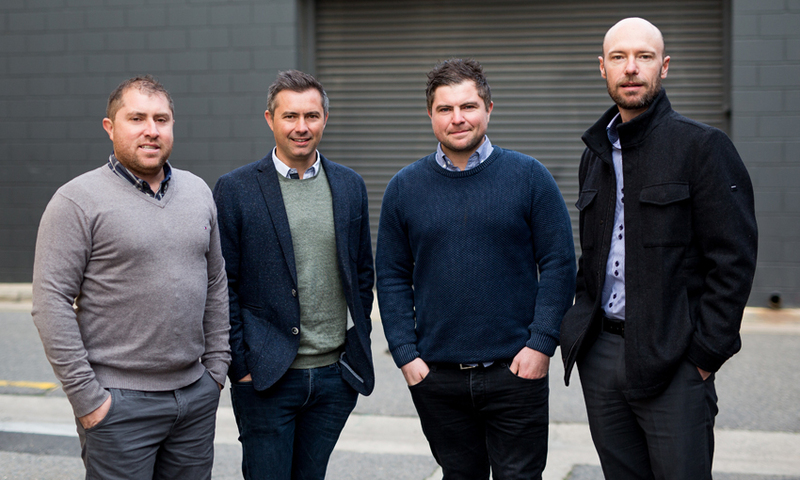 It’s been a long time coming, but school-friends-turned-business-partners, Luke Page and the Vallelonga brothers – Michael, Anthony and Daniel – are about to introduce Adelaide’s first CBD-based distillery to the discerning drinkers of the city. “We’ve always been enthusiasts of spirits… probably more on this side of the bar than anything,” Luke Page tells CityMag over a beer at the Gilbert Street Hotel. 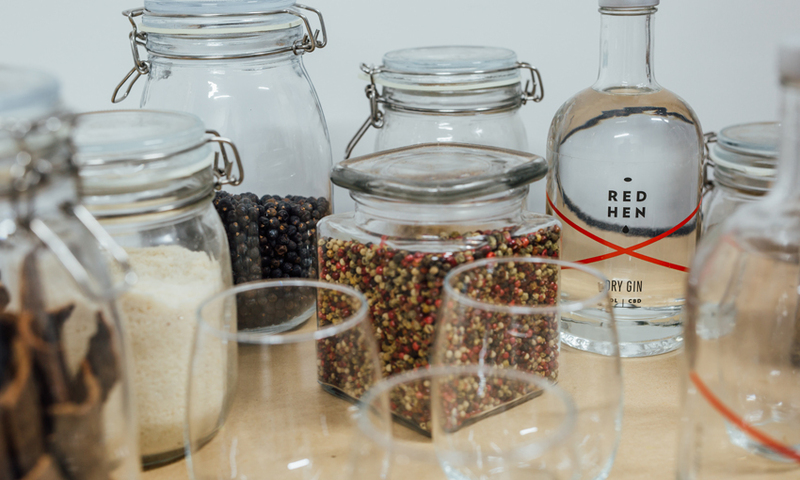 He and the trio of brothers have spent the last two years fine tuning what will eventually be Red Hen Distillery’s inaugural gin. With little more industry experience than some home brewing and a yearly grape harvest (done with the Vallelongas’ grandad), the team plans to turn their shared enthusiasm into the first commercial distillery in Adelaide’s CBD. Apparent gluttons for bureaucracy and craft, no decision concerning Red Hen (a name referencing the Redhen Railcars the crew rode to school together on) has been made with ease in mind. “I think when we got the still we thought ‘all right, this is just going to happen quickly,’” Daniel says. But the windy road of council regulations meant that the journey so far has been anything but quick. “Adelaide City Council have been great, but it’s just time consuming,” says Luke. The benefit of being in the CBD, they say, is promoting their locality. “We want people to feel like they’re getting something that’s made locally… behind the bar almost,” Anthony says. The boys now have their still – moved out from Luke’s shed to its permanent CBD home in the city’s south west corner – and they’re in the process of scaling their recipe up to a commercial quantity. The production method they’re using is a 100 per cent vapour-infused London dry-style. 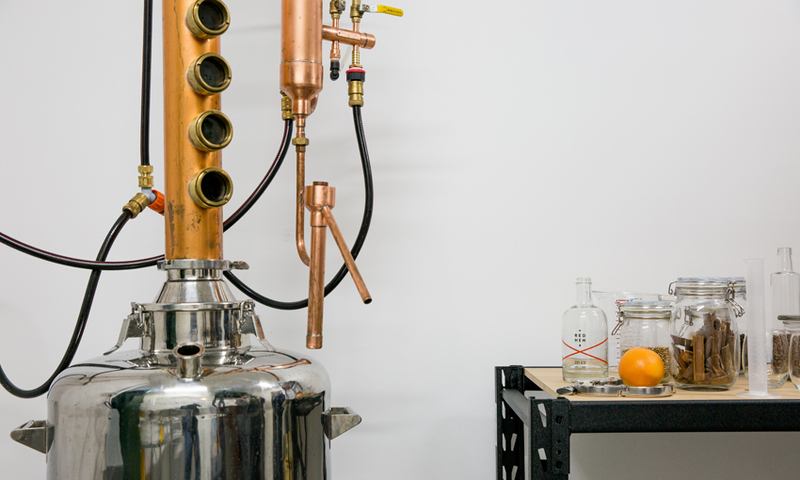 It’s not the easiest way to make gin, but it provides – in their opinion – the best result. Rather than steeping the botanicals in the alcohol sitting in the still’s kettle, the vapour-infused method introduces them later in the process, through a basket on top of the still, which the vapour passes through – collecting flavour along the way. “You get a more delicate flavour,” Anthony says. “It’s a bit more of a refined and crisp flavour, we find,” Luke says. With their gin tasting exactly as they want, it’s now just an exercise of waiting for all the other pieces to fall into place before they can start knocking on the doors of Adelaide’s small bars to hock Red Hen’s wares. After that, there are some broader plans afoot. “Without a doubt we’d love to experiment more. We’d rather just get something really right first though,” Luke says. “We want to focus on the quality and sourcing the right products – all the botanicals from the right places and sourcing as much local stuff as we can. So for future Red Hen news, just keep an eye out behind the bar of your local.